It’s the age old question – is it or isn’t it? Well guys, I have to admit that when it comes to McDonalds Apple Pie, I’m certainly hesitant in my viewpoint. 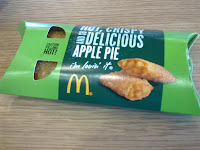 While the packaging clearly gives the indication that you are entering pie heaven, with “hot, crispy and delicious Apple Pie” plastered over the label, the proof of the pudding is in the eating. The lack of foil tray, the fact that there is no clear “base” and “lid” parts – but simply an even amalgamation of the two – and the lack of spherical shape (which is common to most pies, even the slightly more rectangular looking versions) clearly indicate that the McDonalds offering is sadly not actually a pie! 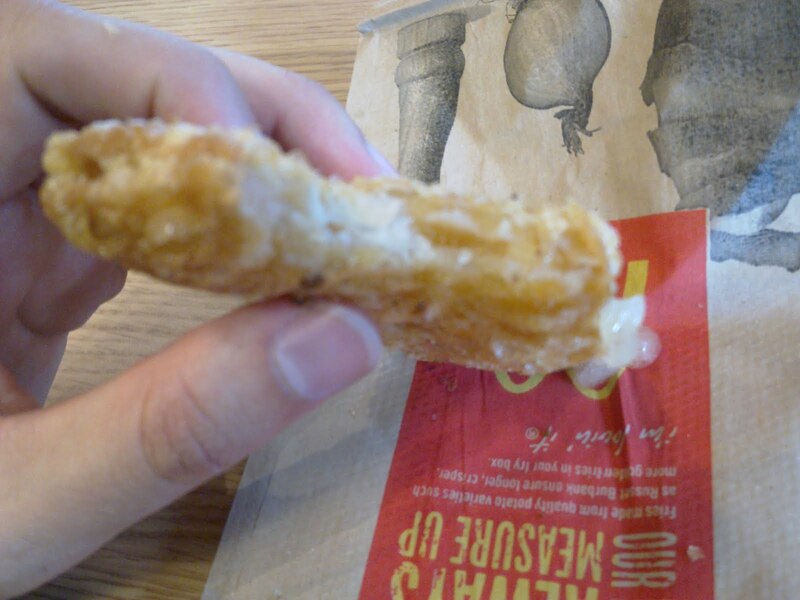 So be warned – even mega chains like McDonalds can lull innocent customers into a grave error, using the pie brand to sell what are in fact slices. I can safely say that pierate.co.uk are not “lovin it”.